and maybe the only map where you get points for knocking someone into a large hole in the center ha ha ha! i am not even going to give a rating becouse this map totally represents a noob map. so for other mappers: if your map looks like this, or only a bit better.. dont think you will get a good grade. and in a few weeks my 2k4 map might be done, il lgive you a link as well. Map cannot be an alpha, beta, or other unfinished version. Zip must be a valid ZIP archive. Zip must have a valid filename containing only alphanumeric characters, dashes(-), underscores(_), and a .zip extension. Zip must contain a valid unreal map. Zip must contain a readme (.txt file preferred). 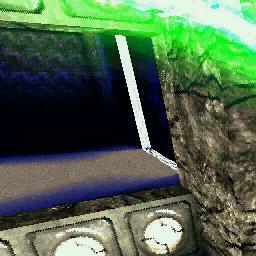 Zip must not contain files other than valid unreal packages*, a txt file, or a jpg picture. no zippprog saves your file with the name 'beta' in it. if so, ill save winzip on a floppy and eat it. now beam me up scotty. you people do know that there is a forum for testing maps right? Stop posting your crap maps. (umx) music file get xmplay or something Ctf-underground is the map (unr) and That other music file is from deus ex (umx) and one text file (txt) wow this is one long comment "End of FYI TIME"
Edit3: Hey shadow did you play the map? there's a map from L4U thats more CRAMED INTO EVERYTHING then this map name one more map that lets you get a point for knocking someone off the level or into a hole that gets you a point? Dude!!!! We all know you can do five times better than that!!!!! Firstly, your maps in Beta form. Perhaps you didn't read the Screenshot Code of Conduct yet? That Code is NaliCity's rulebook on mapping! Follow it or your map may unexpectedly disappear! You should have visited the Beta Testing Forum first before you published your map! Texturing- You got it all wrong! Your (selection) mixture of textures simply don't look good! They really look like a n00b's work! Choose your textures wisely first! Layout- What's this? A straight-way 1-zig-zag map? BAAD! You have to fix your layout! Don't make those rooms THAT big! But if you really wanted that size, you could've at least put some more details to it. Add trims, pillars and subtractions or additions! Architecture- Way to simple dude! Like what I said, "Add trims, pillars and subtractions or additions!". Remove those oversized hanging lights and replace them with fancy hi-poly stuff! Put decorations everywhere in the map! Well that's it... phew! Another comment, another essay! HOOOOLLY CRAAAP i downloaded that in like a second. I wonder how much stuff you got in your map. Square room with weapon in the center? O yea and what is that a screen shot of i dont even know if i see a map in it. Looks like your in a jeep in first person view on the right seat. Is this unreal 1's OUTPOST 3J? EDIT: Yes i played Deus Ex Singleplayer (good game) and i put all the .umx files from Deus Ex into UT folder, and as i had to put this new one in, it means you have renamed it, it would of been better to leave it as it was... NO YOU RENAMED IT DONT GET SMART WITH ME...LOOK AT THE FILE NAME ITS OBVIOUS ITS BEEN RENAMED!!! With the names, i was trying to say why call it one name in the .zip file, but call it a different name on Nali City ? I thought this map was was bad, but it was still somewhat playable. Though the item placement and the teleporter under the blue flag are really dumb. errr ntwarr, since when was BP4 36MB? Please don't upload maps like these, but learn how to map first. Learn to a certain degree to use the editor. This "map" almost gave me a headache. Not the lay-out, which is over simplistic, but the looks are plain horrible. Maybe I'm a bit blunt here, but I feel like being honest. And the truth hurts sometimes, doesn't it. I wonder why all the unreal stuff is included. And why the weapons and stuff are scattered around the map...what's the point in doing that. There's no gameplay to this map. This felt like an experiment. Better luck next time, don't give up mapping though. You can learn, grow and develop skills. It takes time learning something, but in the end it might pay off. Oh Yeah!, THIS MAP ROCKS!, GREAT!, yeehawwhah!